When Renoir and Monet went out into the countryside in search of subjects to paint, they carried their oil colors, canvas, and brushes with them so that they could stand right on the spot and record what they saw at that time. In contrast, most earlier landscape painters worked in their studio from sketches they had made outdoors. SPECIAL NOTE : The painter will make the reproduction as close to the original oil painting as possible. 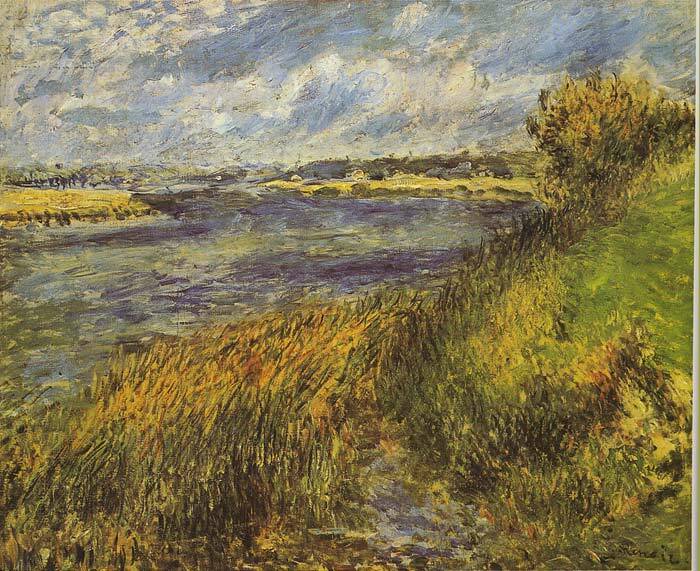 If you want your painting to alter from this likeness, please email us and " Banks of the Seine, 1876 " will be reproduced according to your special requirements.